Learn the techniques the professional chefs use. 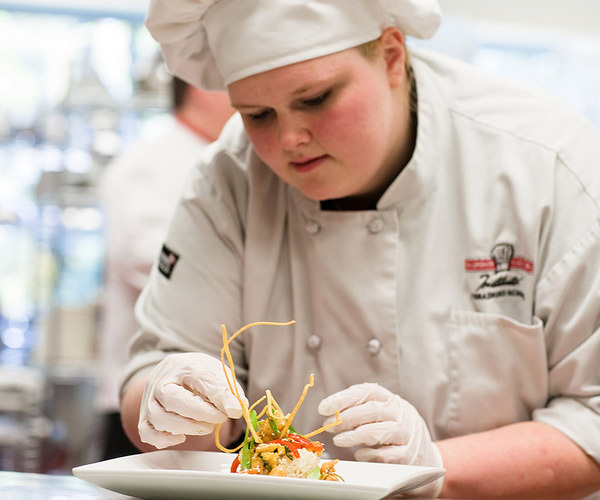 Share your passion for food with fellow culinary students. Learn how to select the right ingredients. It's The Way We Cook. Click a photo to launch the photo gallery! Success in the culinary world requires knowing proper culinary techniques, having the culinary knowledge to select the right ingredients, and feeling a true passion for cooking. 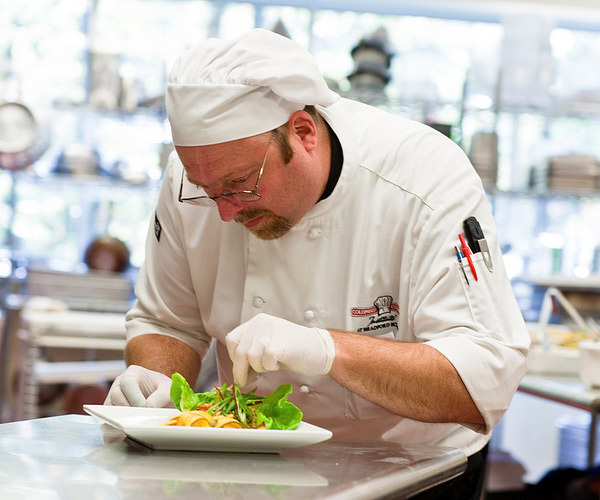 If you have a passion for cooking, success at the Columbus Culinary Institute can begin right now. 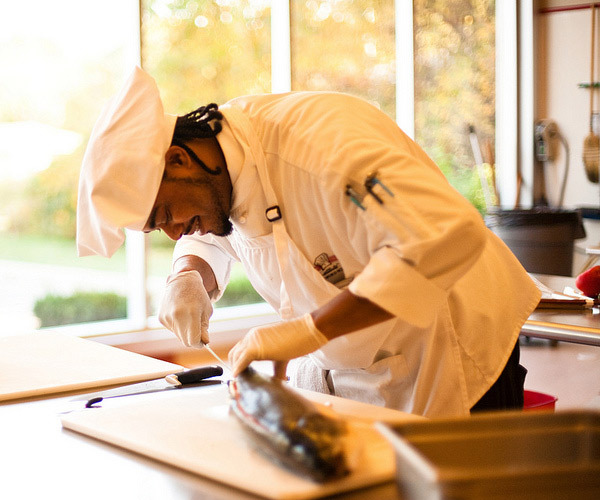 Read about our culinary arts programs, answer your admissions questions, and get started today! Turn your raw talent for cooking into a career during Columbus Culinary's 18-month Associate of Applied Science degree in culinary arts program or the 12-month diploma in culinary arts. You'll join like-minded culinary students and chef instructors who share your enthusiasm for everything food related. 2012 graduate Brian “Tator” Edwards and 2013 graduate Shannon Gerasimchik recently competed on Food Network’s Halloween Wars Season 7! Chef Brian Edwards is the Chef de Cuisine at LifeWorks Restaurant. Chef Shannon Gerasimchik is the Food & Beverage Director with New Era Golf at the Golf Club of Dublin. Tator was the carver for Team Sugar Slashers and Shannon was the carver for Team Morbid Masterminds. They both did an OUTSTANDING job and we at CCI are extremely proud of both Shannon and Tator! THE LEGACY CONTINUES! 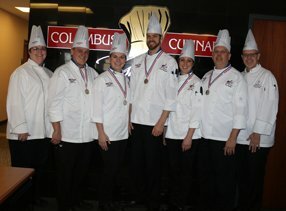 Congratulations to our Hot Food Competition Team for winning the State of Ohio competition for a 6th year in a row! ACF Columbus Chapter holds several of their monthly meetings at CCI. We were privileged to recently host a meeting which featured Diana Clark of Certified Angus Beef LLC from Wooster, Ohio. Ms. Clark educated those in attendance on the true meaning of “Certified Angus Beef” and the 10 exacting specifications for marbling, size and uniformity to earn the Certified Angus Beef certification. She spoke in detail on the 10 specifications and the science behind them. She also spoke of the value of Certified Angus Beef to the food service industry; satisfied customers and return visits. CCI would like to thank the ACF Columbus Chapter and Blue Ribbon Meats for arranging a truly thorough and educational meeting! 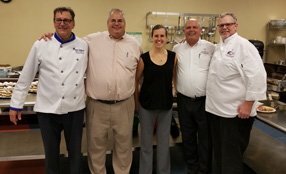 Starting on March 3, 2018, Columbus Culinary Institute will be the host for the Ohio FCCLA Region III Culinary Competitions. Over 105 students from 13 high schools/Career Centers/Career Tech Centers will be competing in 6 categories. CCI has lined up industry leaders from Central Ohio to judge the competitions. The winning individuals/teams will go on to represent Region III in the Ohio FCCLA State Competition to be held in mid-April at CCI. 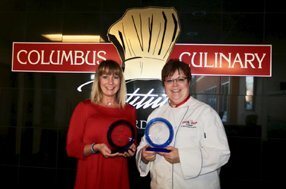 At this year's American Culinary Federation (ACF) Columbus Chapter's Presidential Gala, two OUTSTANDING employees of CCI and members of the chapter were honored with the coveted From a Whisper to a Roar awards. CONGRATULATIONS to Chef Michelle Willoughby, C.E.P.C., A.E.C., and Michelle Hathaway, Culinary Career Services Director! This award is given to professionals in the industry that give selflessly of their time and talent, often without recognition. Congrats again to both of our Michelle's!